Our anti hate group encounter a good deal of animosity toward our commitment to the fight against online hate speech and hate crime. 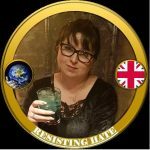 The arguments levied at us suggest that we should focus more on “real hate speech” in the “real world” with cries that “It is only the internet” and “Words don’t matter.” This attitude is at best naïve but at worst dangerous as the denial of a threat allows it to grow stronger unchallenged. I actually see the platform available to haters on social media as one of the key threats associated with the rise of hate crime. Far from agreeing that words don’t matter I believe that as our primary method of communication words help to shape and define the ideals and the standards within our communities. Words, put simply, change how people think. The big concern with social media is that words can reach a large number of people very quickly. “Real world” hate speech reaches a much smaller audience. Take for example a person in the pub espousing racist or sexist views. Those views are unlikely to reach people beyond the immediate present audience. The impact of the views expressed in person is therefore unlikely to have the impact that a Facebook post or a tweet on Twitter might have. The views expressed in person are also more likely to reach an audience of similar hearts and minds. It is unlikely that our racist in the pub has gone to have a drink with people whose views are markedly different from his/hers. It can therefore be argued the racist is talking into an echo chamber which, although undoubtedly unpleasant, is likely to have little impact in converting people to adopt discriminative views. If however he/she posts them on social media there is far less control as to who will be exposed to those views and whose time lines the opinions will turn up in. There is therefore a far greater chance that people may be swayed into adopting these negative views. Herein lies the danger of far right radicalisation. 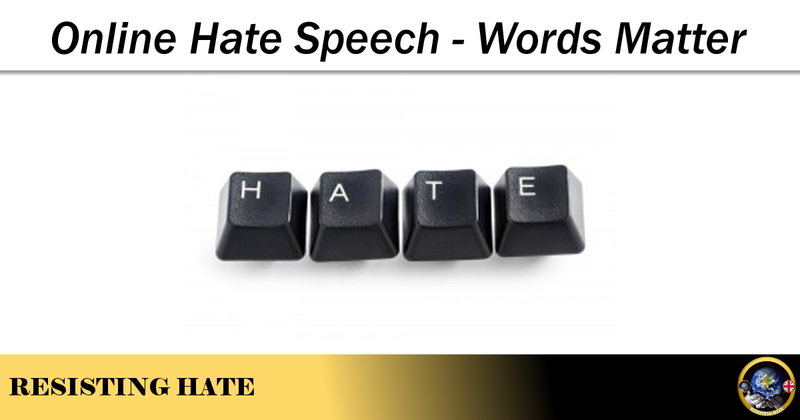 Over time online hate speech moves the boundaries of what is considered acceptable. Readers become desensitised to the words and images they are exposed to day in and day out. Hate speech posters need to evolve to post increasingly more shocking posts to maintain their ability to create an impact. This shifts the cultural paradigm and brings with it the dangers of lost empathy. As we become exposed to more and more bullying and discriminative abuse we are no longer shocked by the content that has become mundane. Online hate speech has effectively legitimised discrimination. This change to what society considers acceptable is then reflected in the real world. Emboldened by online approval of their hate, haters then start to express their views away from social media. This has implications for both integration within communities and the safety of individuals. The exposure to hate on the internet is the catalyst for many of the hate crimes committed outside the arena of social media. The trouble with the internet is that it is very easy to create anonymous accounts. A good deal of the examples of hate speech we collect and report are shared by unnamed accounts with no identifying characteristics. Because the owner of the account is not publicly identified there is no accountability for what they are saying and they are able to express views that would not be accepted in mainstream society. There are few repercussions for these haters which again acts as a spur for them to continue to post whatever they please, regardless of the consequences for others. The functionality of the internet easily allows like minded people to find each other and come together. 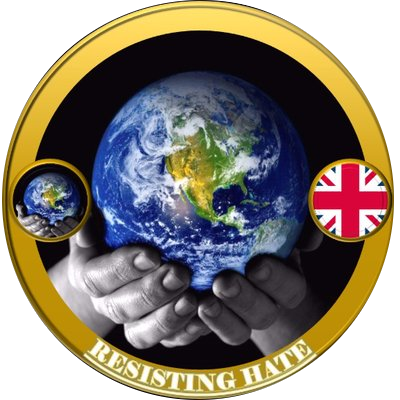 While this can have very positive results (the thriving online dating communities for example) it also has very sinister implications when we consider how easy it is for far right hate groups like the EDL or Britain First to recruit and mobilise their members. Saying “words don’t matter” is a hollow argument when it is those very words of recruitment that are used to structure organised hate events with the intention of promoting and spreading hate further afield. I have great concern that the hate posts on social media are accessible to children of all ages. Education is a powerful tool but at this stage in the evolution of the internet we have little data to suggest what effect the exposure to hate speech is having on our children. Are we bringing up a generation who are reading and believing the hate they encounter on social media? A generation who are so desensitised to hate they are failing to develop empathy? Or are we raising children who like the young person mentioned by Mrs Clinton in the recent Parliamentary debate are genuinely frightened of the world they are growing up in? Our children deserve better than any of this. So don’t tell me or those I work with that “words don’t matter”. In the battle of decency against hate speech words are both our most powerful tool and our greatest adversary. Words change perceptions and they change the world.